Colin Green Photography: Lumbutts & Mankinholes, Nr Todmorden. Lumbutts & Mankinholes, Nr Todmorden. These are a set of pictures I took on New Years Eve 2016 in Lumbutts and Mankinholes, Nr Todmorden, West Yorkshire. 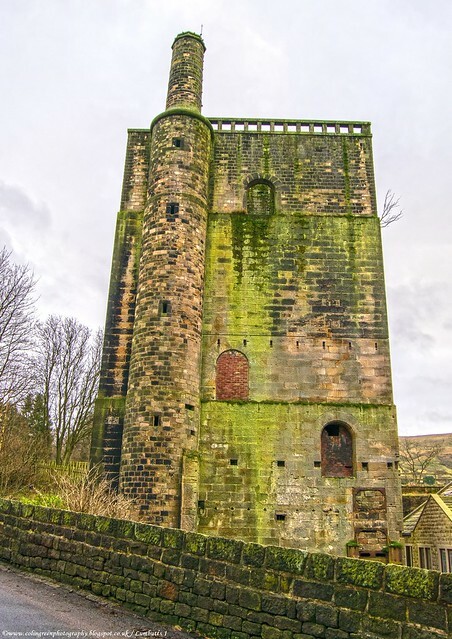 Lumbutts and Mankinholes are 2 small hamlet's under the shadow of Stoodley Pike where things of notable interest include the former Lumbutts mill water tower, Lumbutts Methodist Chapel and the 4 small dams that stand near the chapel. The pictures I took are available to view on Flickr and Clickasnap in 2 separate albums featuring pictures that are exclusive to each. The album below features the pictures available on Flickr which is currently 9 available to view. Lumbutts and Mankinholes, The Area Around. All links open in another window and by viewing any of my pictures on Clickasnap, you help support my photography as they pay me a contributors fee of currently $0.0014 per view at no cost to any viewer. Link opens in another window.